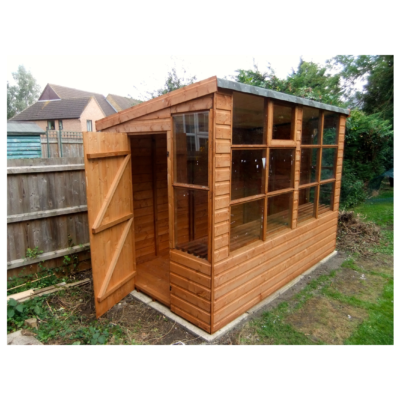 Our fabulous range of potting sheds are a combination between a shed and a greenhouse and have a dual purpose. 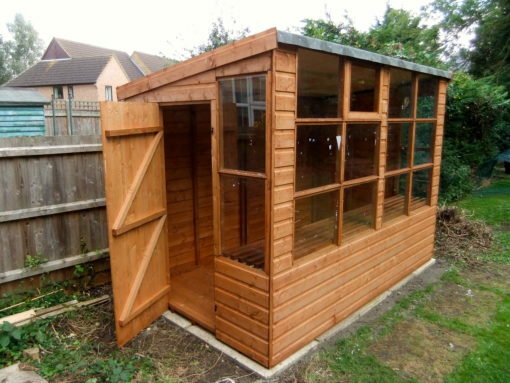 Garden tools can be stored to the rear and plants can be placed on the heavy duty slatted shelf at the front. 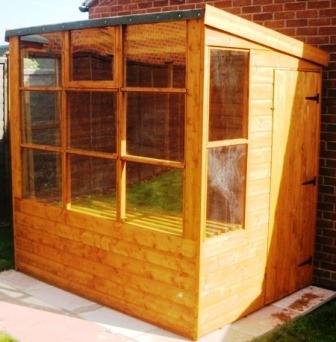 Inside has a light and airy feel with an opening window for ventilation fitted with styrene safety glass. Just choose which end you require the door on the drop down menu when ordering. All potting sheds have extra height being 7′ 2″ at the highest point and 6′ 2″ to the eaves. 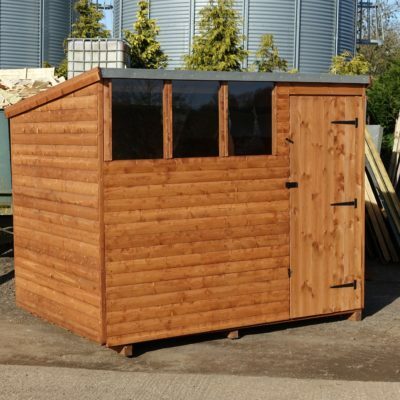 All sheds are guaranteed and we also offer an excellent after sales service. 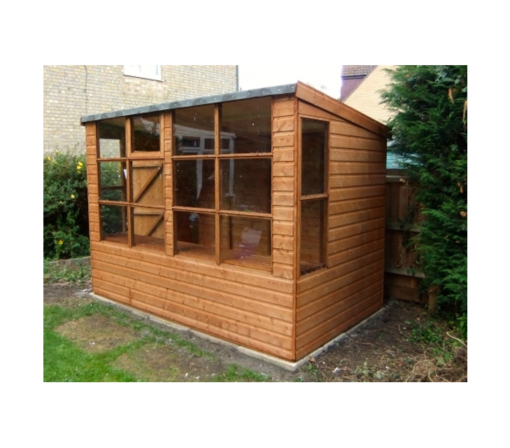 Illustrated is a 7 x 5 potting shed with door on the right hand side design B. For the door on left order design A.
Sawn Timber Frame 38mmx38mm. Cladding: 17mm planed T&G loglap boards. 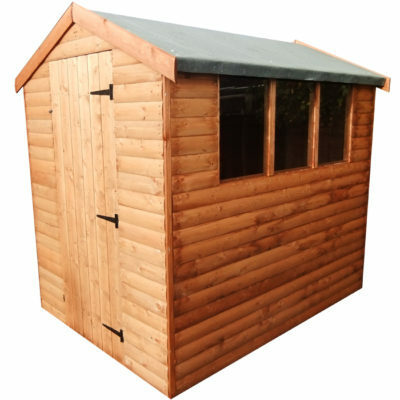 Roof: 13mm planed T&G board 38mm x 38mm bearers. 20kg green mineral roofing felt fitted to roof.